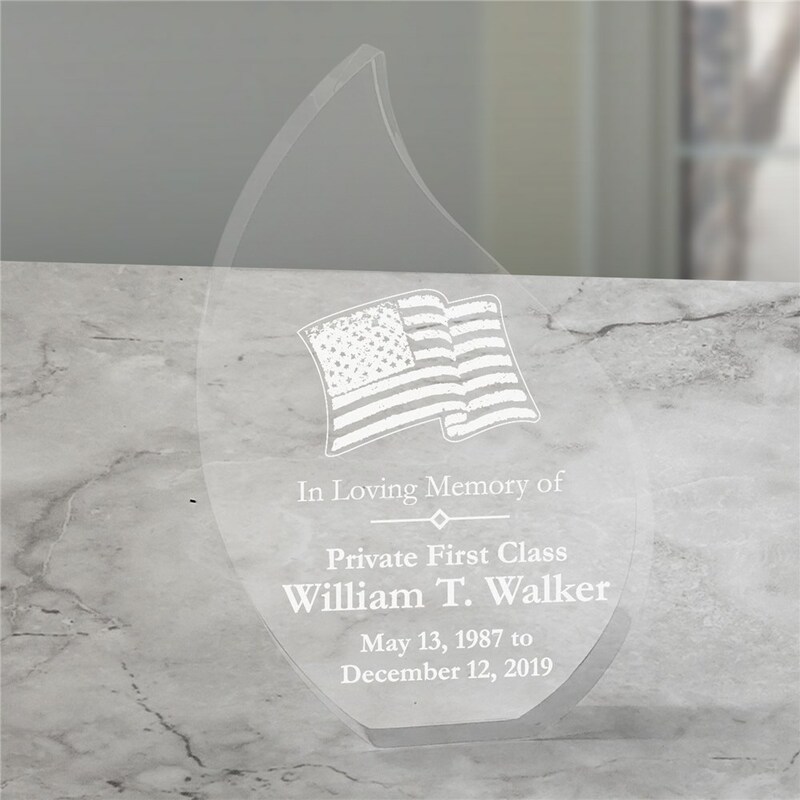 Cherish the loving memory of a family member or friend forever when you display this Engraved Memorial Teardrop Keepsake. This Personalized Memorial Keepsake is great for expressing your heartfelt thoughts of kindness and sympathy and looks lovely in any home. It may also be personalized with any military rank, any name and memorial dates. They loved it. It's beautiful.